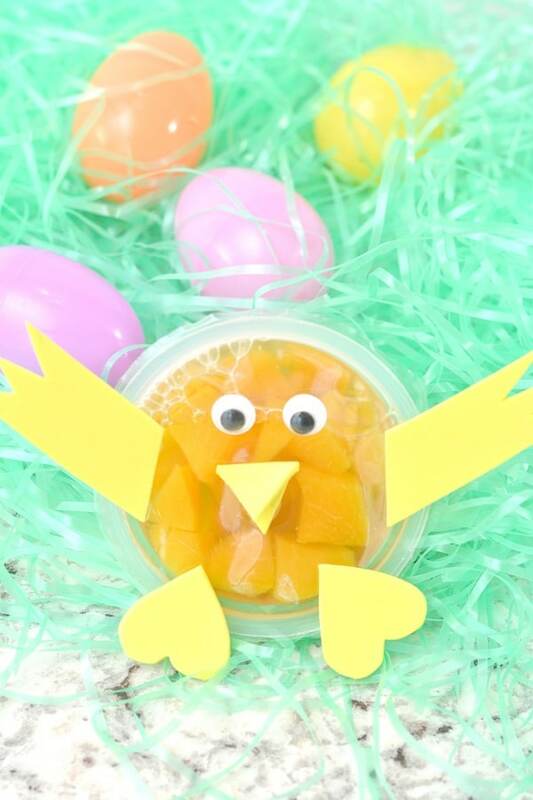 This Fruit Cup Chick Craft is a quick and easy craft to turn an ordinary snack into a fun Spring lunchbox treat. 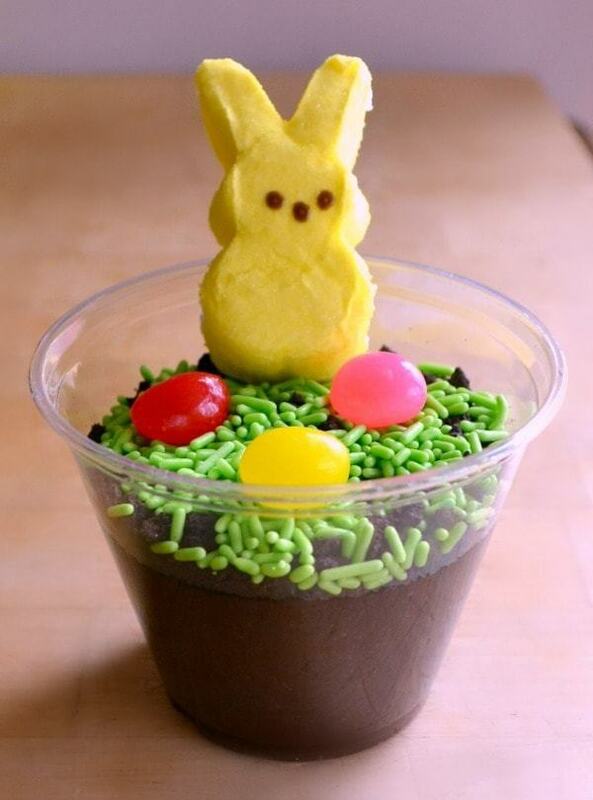 You just need a few minutes and some basic craft supplies to make the transformation. 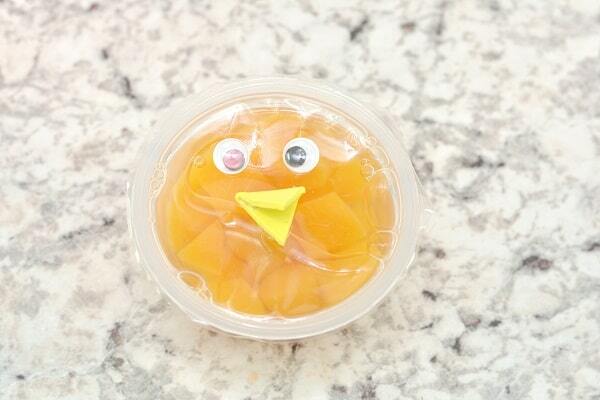 This Fruit Cup Chick will definitely bring a smile to your child’s face when she opens her lunchbox to find it waiting inside. 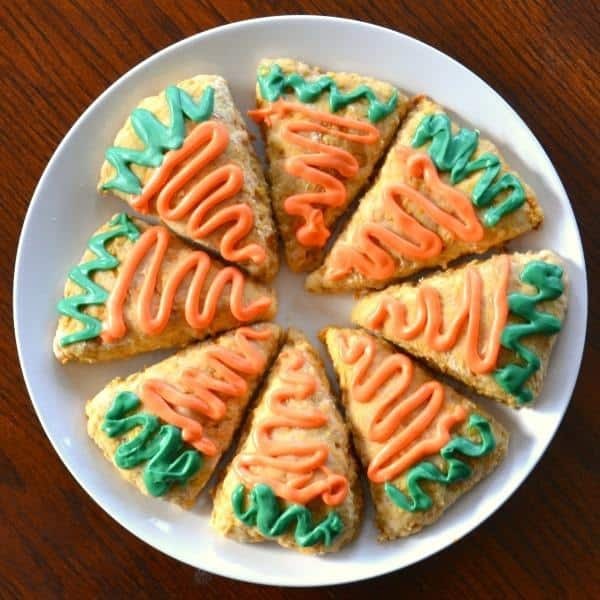 And, because it’s such an easy craft, you can quickly make up enough for the whole class if you want to do something special for a class party. I’m pretty open about my lack of craft ability. So, rest assured, if a craft appears on this site, it is beginner level. If I can do it, anyone can! 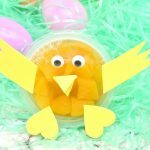 For this fruit cup chick craft, you’ll need a snack cup (I used peaches), yellow craft foam, googly eyes, scissors, and a low-temperature glue gun. First, attach the googly eyes to the fruit cup. Next, cut a small triangle out of the yellow craft foam and glue it to the fruit cup below the googly eyes. Then, cut two wings from the yellow craft foam. Attach one on either side of the fruit cup. Now, you just need to cut out two small hearts from the yellow craft foam. We’ll attach the hearts upside down at the bottom of the fruit cup to make the chick’s feet. That’s it! 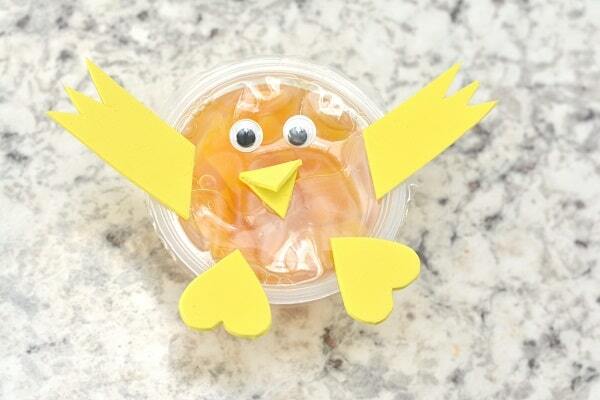 Your Fruit Cup Chick Craft is complete and ready to delight your child. 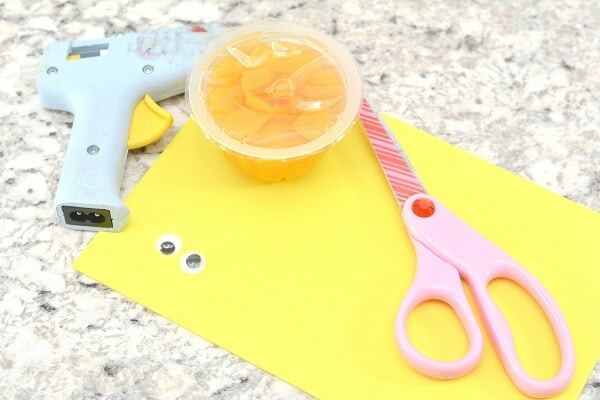 Ready to make your own Fruit Cup Chick? Print the instructions below. Glue two googly eyes on the top of a fruit cup. Cut a diamond shape out of a piece of yellow craft foam. 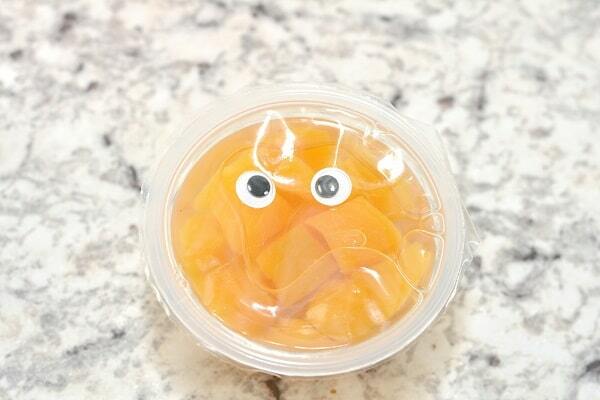 Fold the diamond shape in half, and glue it to the top of the fruit cup just below the googly eyes. Use scissors to cut out two wing shapes from the yellow craft foam, and glue them to either side of the top of the fruit cup. Cut out two small heart shapes from yellow craft foam. Glue the heart shapes upside down at the bottom of either side of the fruit cup. These will be the feet of your chick. 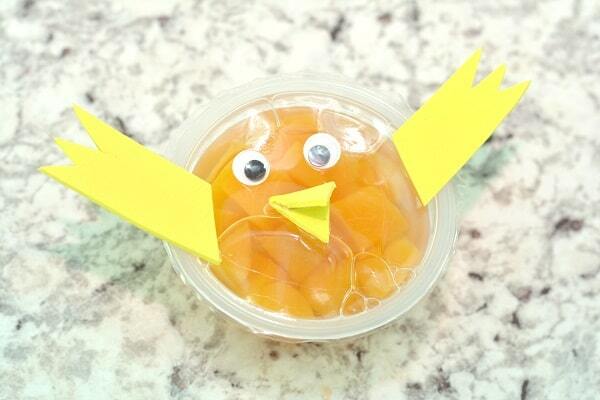 I hope you have fun with this fruit cup chick craft! If you make it, please tag me on social media so I can see! 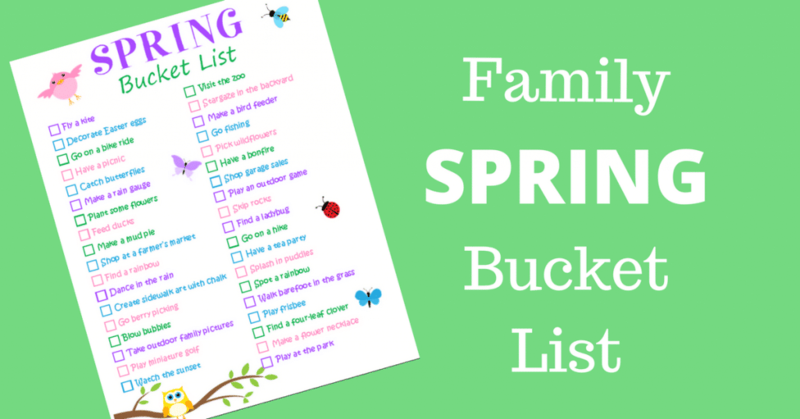 Looking for more ideas to make the most of the season? 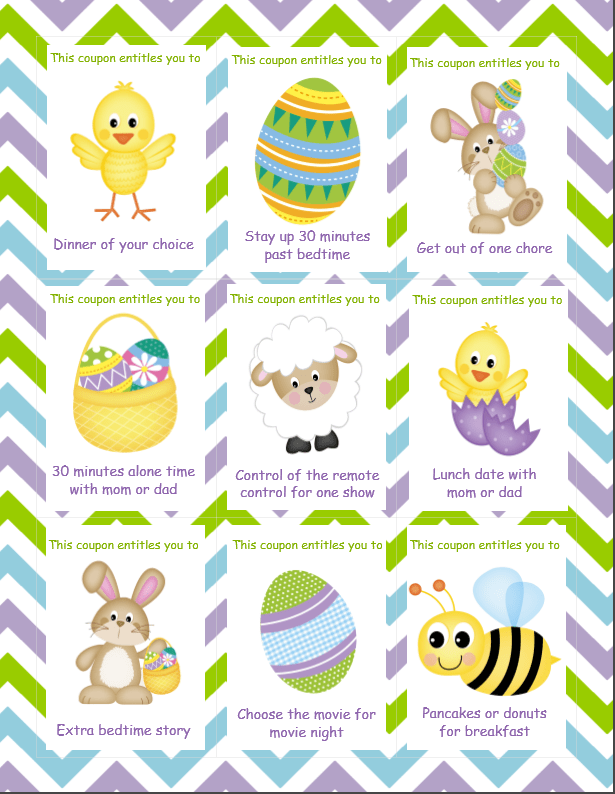 Here are some of my other Spring and Easter ideas.